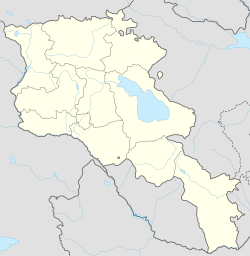 Artsvanist (Armenie: Արծվանիստ; till 1968, Nerkin Aluchalu, Alichali, an Roushifee'd as Nizhniy Aluchalu) is a toun in the Gegharkunik Province o Armenia. In the gorge sooth o the veelage is the early 10t century monastery o Vanevan an lairge but broken medieval khachkar monument nearbi. This page wis last eeditit on 11 Mairch 2018, at 02:37.